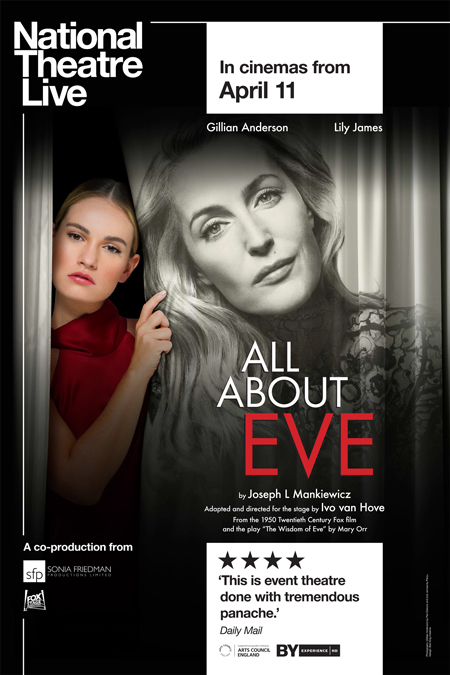 “All About Eve” tells the story of Margo Channing. Legend. True star of the theatre. The spotlight is hers, always has been. But now there’s Eve. Her biggest fan. Young, beautiful Eve. The golden girl, the girl next door. But you know all about Eve…don’t you? Lifting the curtain on a world of jealousy and ambition, this new production, from one of the world’s most innovative theatre directors — Ivo van Hove — asks why our fascination with celebrity, youth and identity never seems to get old. “All About Eve” will be shown at the Mary D. Fisher Theatre on Sunday, April 28 at 4:00 p.m. Tickets are $15, or $12.50 for Film Festival members. Tickets are available in advance at the Sedona International Film Festival office or by calling 928-282-1177 or online at www.SedonaFilmFestival.org. Both the theatre and film festival office are located at 2030 W. Hwy. 89A, in West Sedona.